With the temperatures reaching 40 degrees Celsius during the summer months, bars in Torrevieja do a roaring trade. 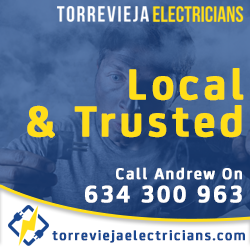 Holidaymakers to seaside locations like Torrevieja want to be close to a beach and never too far from an ice cold drink. Well, you can have the best of both when you visit one of the city’s beach bars that are found throughout Torrevieja’s coastline. The city’s picturesque promenade, Paseo Maritimo Juan Aparicio runs along Playa del Cura beach and is lined with a number of bars and restaurants serving the hot and thirsty swimmers and sunbathers. A bit further along is Los Locos beach that also has a selection of bars including the popular Tropic 222 Music bar with extensive seating on its outdoor terraces and around its choice of 5 indoor and outdoor bars. During the summer months from June to September there is also a bar/restaurant that sets up right on the beach itself offering lovely views over the glistening Mediterranean sea. British holidaymakers can enjoy a number bars where they will find familiar food and drinks, as well as popular entertainment such as karaoke, quiz nights, card games, pool and darts. Established in 1989, Bar Patricia has regular British and local clientele and serve great pub grub and regular weekend BBQ’s. Alikatz Bar is famed for it’s karaoke and late night opening until 4am. For a huge selection of British and Irish bars, nearby Orihuela Costa is the place to visit. Lime Bar, and its sister The Bar Next Door make for a great night out, and the owners Pete and Sue make sure the fun never ends. With regular events and evening entertainment, their dedicated customers come back year after year. For a superb Sunday roast try the Rose & Crown, and for a lively young atmosphere with bands and party nights, you can’t beat Legends. Orihuela Costa is also a very popular destination with Irish holidaymakers and the busiest Irish bar, even during the winter months is Paddy’s Point. Here you can enjoy a full Irish breakfast accompanied by a pint of Guinness (just to get into the Craic !!) or take a wonder up to the fantastic Zenia Boulevard. Emerald Isle, Abbey Tavern, The Celtic Drop and Stray Sod, just to name a few, are also located in Orihuela Costa. Back in Torrevieja City you can enjoy a sizzling steak cooked to your liking on a ‘hot rock” at Murph’s Bar or quaff a pint or two in the elaborately decorated Durty Nellys. In the centre of the city is My Life Irish Pub and on the outskirts you will find St. James’s Gate Irish Pub. 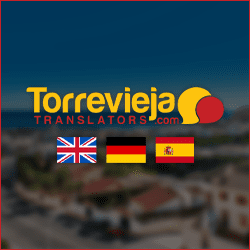 For a more lively atmosphere where you can enjoy a bar and nightclub scene, Torrevieja has some great music bars. These offer all you would expect from a bar/restaurant such as outdoor terraces, large screen TV’s and lunch and dinner menus. When the sun sets they are more like nightclubs with resident Dj’s, live music, foam parties and theme nights. Try Tropic 222 that is mentioned above and has been around for ages. Great music and old memories can be found at Monroe’s Rock Café Bar, and the huge Bushwacka Bar keeps the crowds going daily until 4am. If you want to enjoy great evening entertainment in a place the kids will love too, Bars in Torrevieja don’t get much bigger than Abbey Tavern that has lovely shady gardens, outdoor bars and children’s play areas. Out of all the bars in Torrevieja, the most numerous by far are the traditional Tapas Bars. Just to give you an idea on the amount of tapas bars in the city, I recently did a Tapas Tour that are usually held twice a year in Torrevieja and the list of ”participating” bars numbered 46. This is about a third of the tapas bars that can be found in the city and surrounding residential areas. I keep telling people not to worry about the language barrier, as you will rarely find a member of staff that speaks English, and just go with the flow. In most places you won’t pay more than 1.50€ for a bottle of beer or glass of wine, and whatever tapa they serve you, it’s usually free !! So, there really is nothing to lose and a whole lot to be gained when visiting tapas bars. For information on the tapas bars in Torrevieja that I visited during my Tapas Tour, read my article.